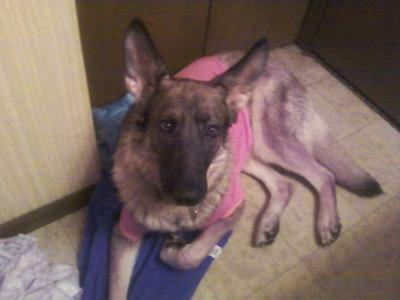 Cheyenne in her pink shirt. I got Cheyenne about a year ago on April 1st, she is 5 years old now. 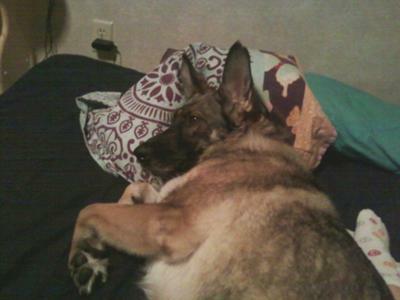 Cheyenne came from a home were she was mainly out side in a kennel. I was worried that she wouldn't adapt well to living in side, but I was so wrong! She has never had an accident, no chewing or anything! She is truly an amazing dog, so loving and sweet.